CROCOPen™ is a pen that can talk. 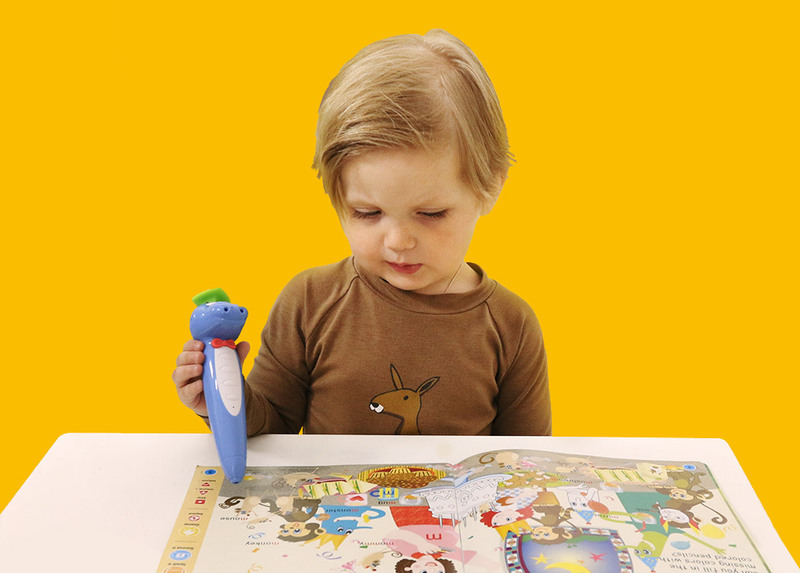 A Pen that combines state-of-art technology with creative learning materials to develop kids’ interest in learning through reading. The technology built inside CROCOPen™ allows kids to interact with the reading materials, to play games, learn logics, understand visual impact, learn sound effects. No need to download learning material from computer. Hundreds of materials already pre-stored in CROCOPen™. 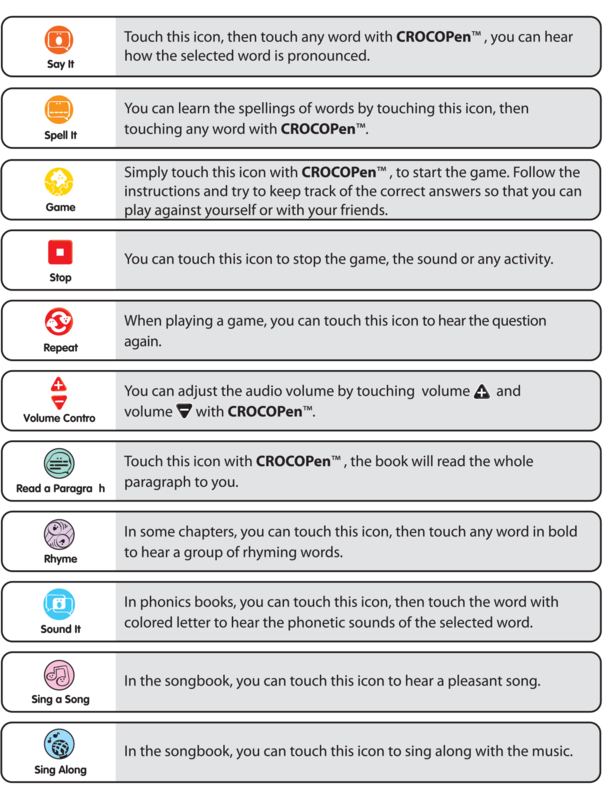 It contains voice data for a wide range of CROCOPen™ learning materials. Kids can read over 100 different learning materials: books, stickers, flash cards, and more to come. Let Your Kids Imagination Fly. CROCOPen™ provides an interesting and interactive reading platform to allow kids’ imagination to fly! There are ample visual elements in the teaching materials to stimulate kids imagination and creativity. Cordless and Handy for Easy Carrying. CROCOPen™ comes cordless and is easy to carry. It is just the size of a Pen. The advance technology allows the pen to read CROCOPen™ compatible special printing materials without bulky platform. Kids can carry CROCOPen™ anywhere they go. How to play with your books? Touch GO on the cover page with your CROCOPen™ to start playing. Touch the pictures, words or icons with your CROCOPen™ to make them talk to you. Be Creative with coloring when you come to the pages that have black and white pictures. To find the answers in the games, go to the “Question & Answers” pages at the back of this book.